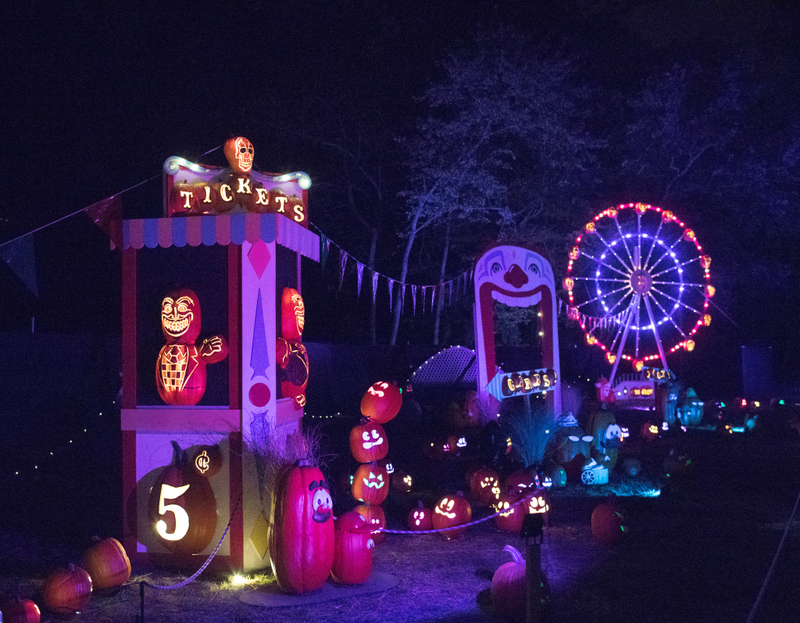 This past weekend I took my girls to see THE GLOW: A Jack O’Lantern Experience at Lake Fairfax Park in Reston, Virginia. It was unlike anything we had ever seen before – a Halloween trail of more than 5,000 hand carved pumpkins! The trail is made up of many different scenes along the third mile walk. As you enter, you first get a look at Captain Jack and his 30-foot-long pirate ship, complete with skeletons and pumpkin pirates. 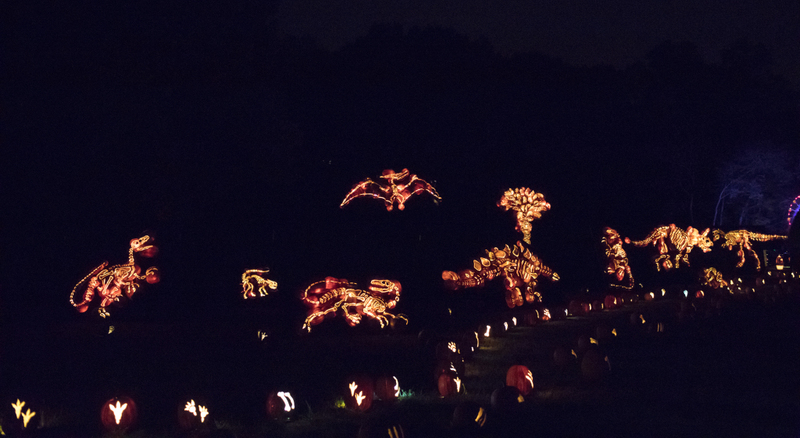 Featured next is the Pre-Historic Park, where jack o’ lantern dinosaurs stand up to 16 feet tall. 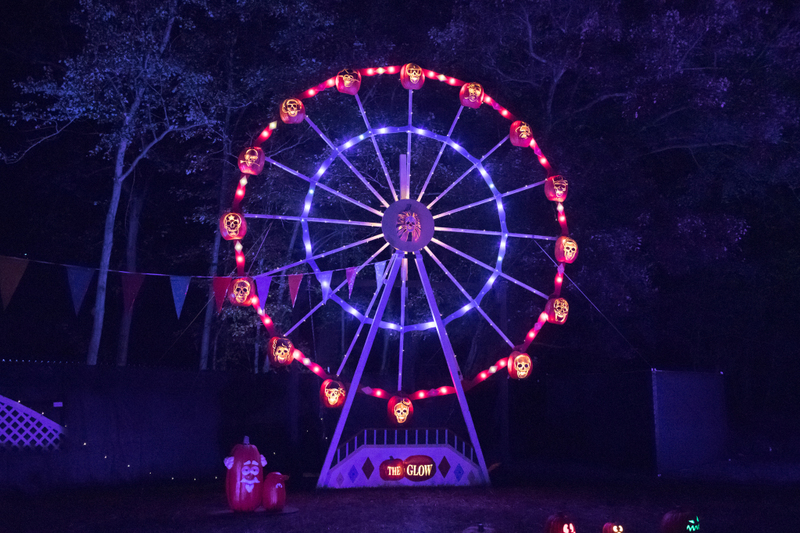 One of our favorite parts of the trail was the carnival scene. My girls marveled at the ferris wheel. 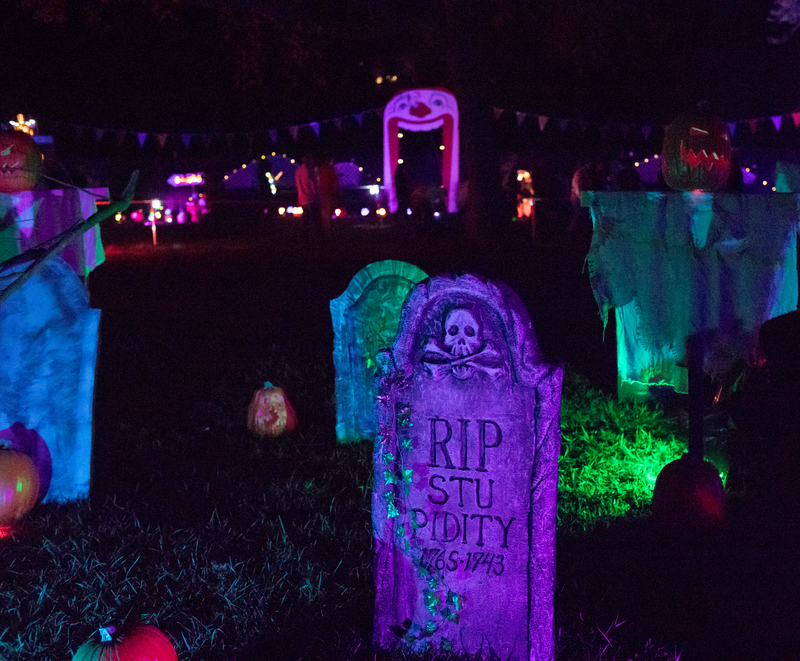 The pumpkin graveyard is complete with black cats, ghosts, and gravestones. A winter-y pumpkin scene is accompanied by music and snow flakes. 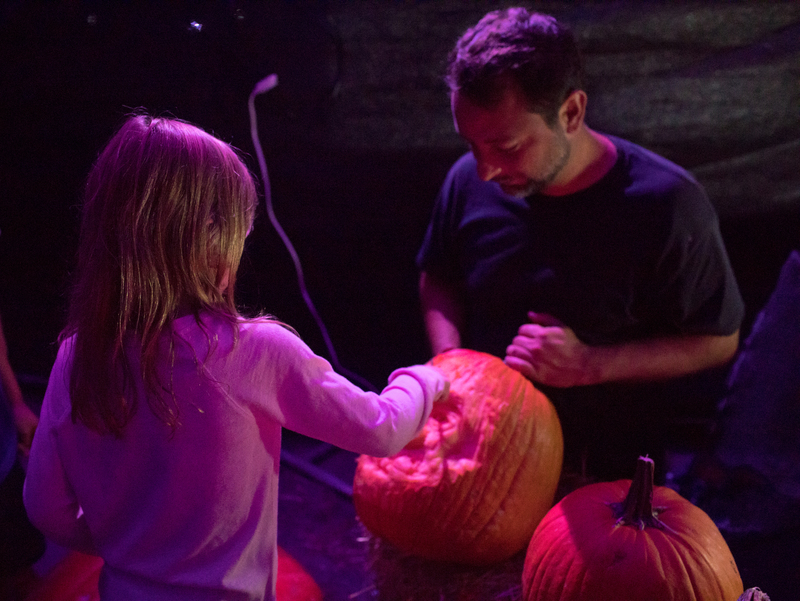 The trail ends under a pavilion where you can watch a carving demonstration and kids can try carving a pumpkin using the master carver’s special tools. 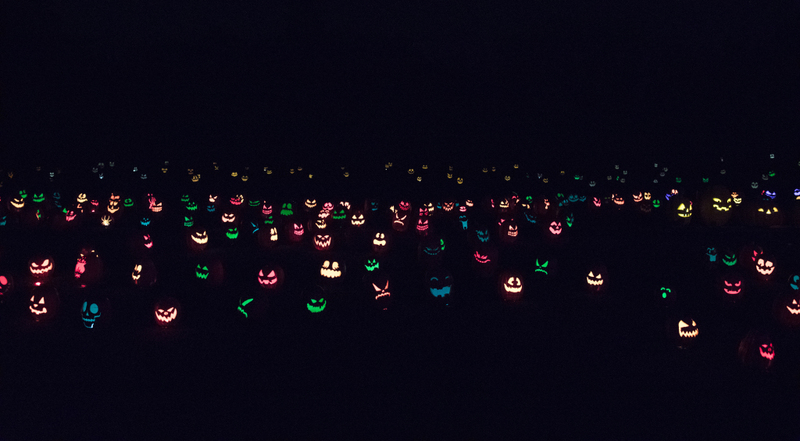 And the grand finale is a display of hundreds of carved pumpkins across the hillside. It is really an incredible sight! 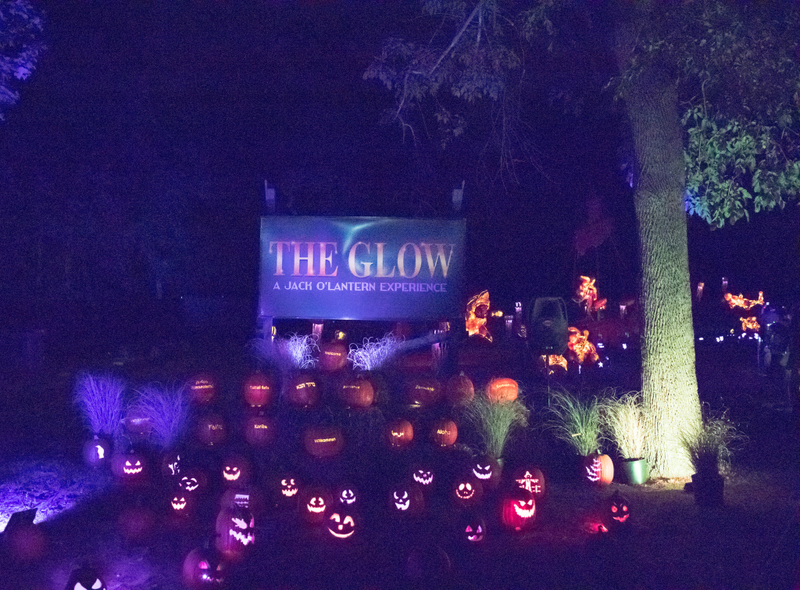 The GLOW is such a fun and unique experience! I highly recommend checking it out this Halloween season. It isn’t scary at all so it’s perfect for families with small children and something that all ages can enjoy. The trail is stroller and wheel chair friendly. I recommend bringing a stroller for little ones – it is a lot of walking from the parking lot, through the trail, and back to your car. It took us about 15 minutes to get from the entrance to the start of the trail. And about 30 minutes to walk through the trail. You might even spend a bit more time in the trail but it was a late night for my girls and they were getting tired. There are a couple of food trucks on site, a tent with light up toys and necklaces, and also pumpkins for sale. For $20 you can even get your pumpkin carved before you take it home. THE GLOW is open every Thursday, Friday, Saturday and Sunday night in October. Tickets start at just $16, and are on sale now at glowdc.tixr.com. Advanced tickets are required. 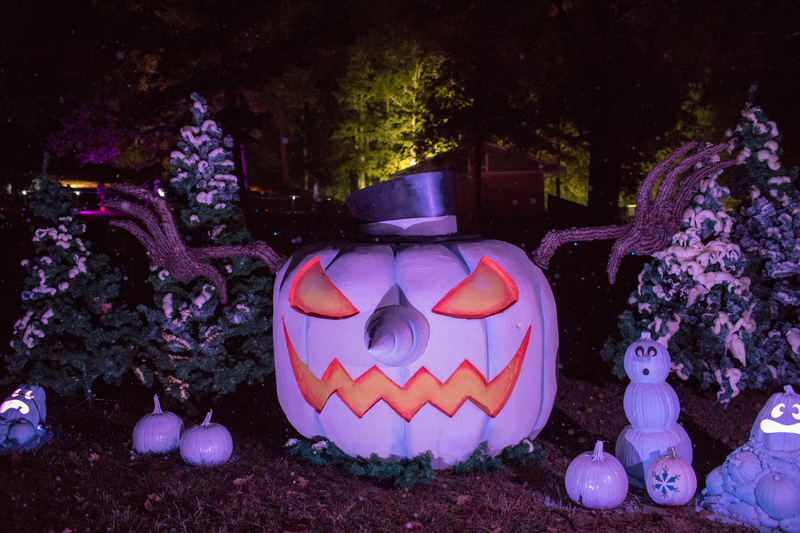 Stay up to date by joining Jack’s Club at www.theglowjackolantern.com or by visiting THE GLOW: A Jack O’Lantern Experience on Facebook.